Sayma Monir was one of the first winners of our November IELTS results competition, who shared their tips for a high score. “Thank you for the great news. It is an honor to be declared a winner of the IELTS Test result competition. When I got the result of my IELTS test I could not believe that I scored 7.5. My score in writing, Band 7.5, was the biggest surprise for me. 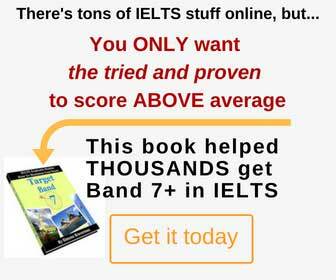 My advice to other IELTS candidate would be to practice a lot and be confident. For getting a good score in the listening test it is very important to listen to the recording very carefully with attention to details e.g. intonation of the speaker. The most important part is to read the instructions first. Maintaining the word limit is also important. The answers should be spelled correctly and also be grammatically correct. It is also very important to quickly look at all the questions and answer options (if applicable) in the time provided before each part of the listening test. The first and second part contain questions that are comparatively easier. For this reason, it is very important to answer all the questions of these part correctly to achieve a good score. It is essential to maintain the time limit in the reading test. At the beginning it is a good idea to take a look at the questions at the end of each passage and underline the key words on the passage. The questions sometimes mention in which part of the passage the answers should be found, e.g. answer the question based on the information provided on paragraph F of reading passage 1. Writing task 2 contains two-thirds of the total marks and therefore more time should be spent on this part. To score 7+ in writing the spelling and grammar should be accurate, the topic should be explained logically, preferably with relevant references. I believe that describing almost all the data given on the diagram or graph of task 1 in the answer is wise to score high.